Currently browsing posts filed under "Mark Udall ’72"
Sixth Circuit Court of Appeals and “conservative legal star” (or at least former star) Judge Jeffrey Sutton ’83 was the decisive vote in upholding the constitutionality of the individual insurance mandate in Obama’s health care law. In so doing, Sutton was the first Republican appointee to rule in the administration’s favor. Congratulations to Congressman Chris Murphy ’96 for receiving UConn’s (where he attended law school) Graduate of the Last Decade award. Murphy, who has been in the news thanks to his proposed Supreme Court Transparency and Disclosure Act, is off to a tremendous start in his campaign for Senate, leading the fundraising race on the Democratic side. By the way, if Williams had a “graduate of the last decade” type award, who would the candidates be? Udall ’72: Can’t We All Get Along? Mark Udall ’72’s proposal that the parties intermingle during the forthcoming State of the Union address seems to be gaining steam. Good to see an Eph doing his part to bring people together! (Of course, if he asks me to sit with Amherst alums at the next football game, well, that is a bridge too far, Senator Udall). Comments Off on Udall ’72: Can’t We All Get Along? Check out this great article on Amy Prieto ’96’s research into creating a more powerful, cheaper, and longer lasting battery. Prieto is an assistant chemistry prof at Colorado State, in addition to heading Prieto Battery. Between Prieto and the equally revolutionary work being performed by Joshua Smith ’91, we could someday be thanking a small handful of Ephs for helping usher in a new generation of alternative energy sources. [Rumor has it that Amherst alums have taken a slightly different energy approach]. Other Ephs working in the alternative energy arena (and I’m sure there are others) include Wayne Davis ’78, Vice President at Harvest Power, Samuel Arons ’04, a member of Google’s Green Business Strategy Team who has written about hybrid vehicles, Christopher Elkinton ’98, who works as a wind turbine engineer, Kristina Weyer ’03 (who like Prieto was affiliated with Colorado State), who works on algae-to-biodiesel energy at Solix Biofuels, and Alex Mokover ’10, who is immersed in alternative energy policy. 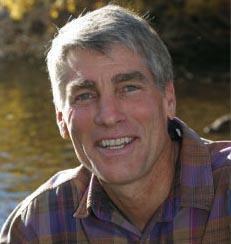 And of course, Senator Mark Udall ’72 is one of the leading advocates for alternative energy production in Congress. Considering (a) the huge opportunities in this field, (b) Williams’ continued excellence in Geology, Chemistry, and Physics, and (c) the efforts of the Zilkha Center on promoting sustainability initiatives on campus, I imagine that Williams will continue to produce the next wave of alternative energy researchers, policy-makers and entrepeneurs. Senator Mark Udall ’72 is fortunate that he is not running for re-election this year. for U.S. Attorney for the District of Colorado. (For those who don’t know, that is the chief federal law enforcement official in the state of Colorado). It sounds as if, unlike a previous nominee for the same post, Walsh’s confirmation should be a breeze. There is an odd confluence of powerful Ephs in Colorado, between Walsh and Senator Udall, with Walker Stapleton ’96 hoping to join them with his bid for State Treasurer. Must be the draw of the mountains … Udall, unsurprisingly, had only good things to say about his fellow Eph. In May, once [and future?] Congressman Ed Case ’75 is hoping to recapture a seat in the House and, in the process, avoid contributing to another special election disaster (from a Democratic perspective). He and another Democrat are threatening to split the vote and allow a GOP’er to capture a heavily Democratic district. Although Case is far more well-known than either of his opponents, he burned a LOT of local bridges with his decision to wage an ultimately unsuccessful primary battle against long-term Senator Daniel Akaka. Even still, Case is leading in the polls. Chris Murphy ’96 is in the opposite situation: a Democrat in a district that has long leaned Republican. As such, he faces an uphill battle in defending his vote in favor of the health care bill. If anyone can do it, however, it is the always articulate, personable, and down-to-earth Murphy. If you ever wanted to see action shots of an Eph Congressman, click on that link for an oddly voluminous slide show of Murphy in mid-sentence. Meanwhile, Murphy’s classmate Walker Stapleton, who hails from an impressive political lineage on both sides of his family, is diving into politics with his run for Colorado GOP State Treasurer. Op-Ed from Senator Mark Udall ’72 concerning renewable energy. Interesting discussion with Senator Mark Udall, focused largely on environmental issues. Udall also recently hosted a Clean Energy Summit. The Honorable Karen Ashby ’79 The first African American woman appointed to the bench in the state of Colorado, she is a nationally recognized expert in matters pertaining to juvenile and family law. Mika Brzezinski ’89 A television news journalist with star power, she is a familiar anchor on a host of NBC shows including MSNBC’s Morning Joe, NBC Nightly News, and Weekend Today. Gary Fisketjon ’76 Vice president at Alfred A. Knopf, he has been honored for “discovering, nurturing and championing writers of fiction” and is considered an editorial master by established writers worldwide. John F. Raynolds ’51 This innovator devised strategies that led to development of the U.S. Navy Seals and steered Outward Bound, USA, through its largest growth in history, all the while inspiring others through his speaking and writing. Senator Mark E. Udall ’72 An accomplished mountain climber, the Senator from Colorado is nationally recognized for his steadfast commitment to addressing challenging environmental issues, including his early support for alternative energy. Sounds good to me. I hope someone can report back. Chris Murphy, a Democrat, faces his first run for re-election. 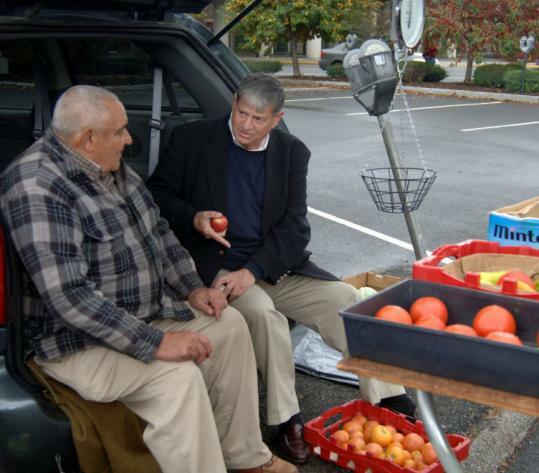 His opponent, David Cappiello, is a Republican state senator with a reputation for independence. As a member of the House Financial Services Committee, Mr. Murphy backed the credit card bill of rights and legislation to help homeowners refinance and thus keep their homes. We endorse Chris Murphy. 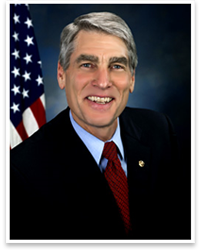 AFAIK, the only other Eph running for Congress is Mark Udall ’72, Democratic candidate for senator in Colorado. Are there any others? What about other major offices? The Williams Public Affairs office relies on EphBlog to create/maintain this list. Please help us help them. A New York Times article discusses the runs Congressmen Mark Udall ’72 (Colorado) and his cousin Tom Udall (New Mexico) are making for open Senate seats. It explores speculation that their “green” histories may hurt them with some voters who are worried by the economic downturn, and poses these two races as a test of whether Democrats are ascendant in the West. Udall was born July 18, 1950, in Tucson, Arizona, and has spent his entire adult life in Colorado. He graduated from Williams College in 1972 with a bachelor’s degree in American Civilization. Udall developed a long and successful career with the Colorado Outward Bound School, as a course director and educator from 1975-85 and as the organization’s Executive Director from 1985-95. I did not know there was such a degree at Williams. He sounds like a neat guy. Our country is facing historic challenges at home and abroad. We must find a way to end the costly war in Iraq, rebuild our armed forces and fight a more effective war against terrorism. We must restore fiscal sanity to our national budget and prepare our kids for the economy of the future. We need a dramatic new energy policy that will create jobs and break our dependence on foreign oil. We also need to expand quality and affordable health care for all of our citizens. Michelle Malkin is not a fan of Congressman Mark Udall ’72. Is this the sort of stuff that my critics had in mind when they claimed that Udall had not demonstrated as much “distinguished achievement” as Martha Coakley ’75 and was, therefore, not as deserving of a Bicentennial Medal? Just asking! is no stranger to the world of public service, having come from a family where devotion to service is both a goal and a reality. His father, Morris “Mo” Udall, served in the U.S. House of Representatives for 30 years and ran for the Democratic nomination for president in 1976. His uncle, Stewart, is widely revered for his accomplishments while serving as secretary of the interior under President Kennedy. Udall worked on his father’s presidential campaign, marking the beginning of his own active involvement in the political process. Udall is clearly someone that the Political Economy folks should consider visiting during their spring break pilgrimage to Washington. EphBlog is powered by WordPress and delivered to you in 1.227 seconds using 37 queries..